This weekend was a particularly busy one. By the time Monday rolled around, I was ready for a comfy oversized sweater, a good book, and a blanket I could cuddle up in a chair with. Cozy time to reflect and unwind sounded perfect. Autumn weather has begun to show its face, and I couldn’t be happier! All the pretty colors, warmer comfort foods–soups, pumpkin, apple, and cinnamon filling the air and our plates. Just thinking of it made me excited! 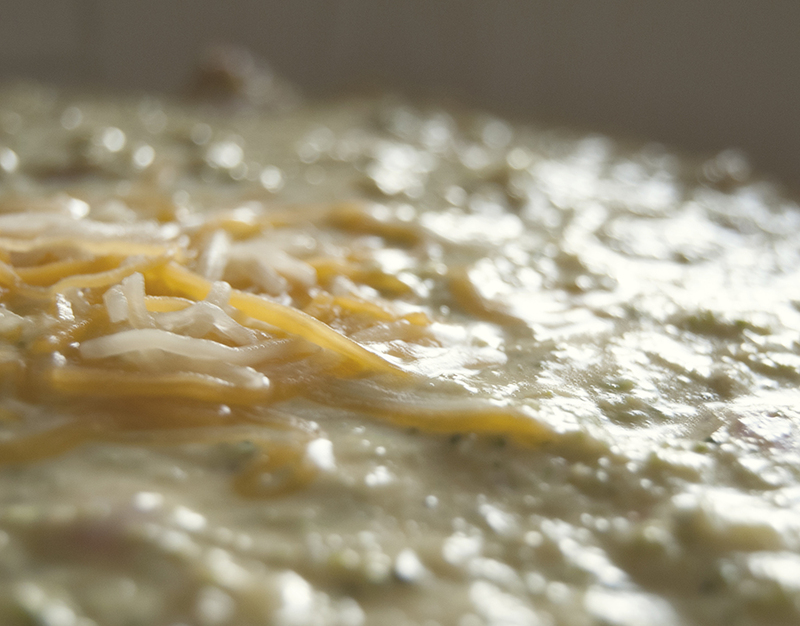 So I settled in to the idea of a steaming bowl of cheesy broccoli soup. When I was a teen, my two best friends and I would often spend afternoons at Tim Horton’s talking the day away with a bowl of broccoli soup on the side. (Of course, there was always a frosted cinnamon roll to follow.) I’ve been wanting cinnamon rolls lately, so that’s definitely something I’m going to need to remedy in the near future. Those days are gone now, we’ve all gone our separate ways, but the memories remain and I’ll always treasure them. Anyway, broccoli soup has been one of those comforts for me for a long time, I figured it was about time to recreate it at home. Normally I’d make it with chicken stock… And it wouldn’t necessarily be cheesy. But that’s what I felt like, so I decided to try! It turned out fairly well, I think. I hope you enjoy! Have a safe and cozy week! Combine broccoli and light cream in blender. Blend until no large broccoli chunks remain. Saute (or carmelize) onions with olive oil in a medium sized cooking pot. Add broccoli and cream mix to the onions. Stir and cook until warm. Slowly add cubed cheese while stirring. Add remaining cheese until desired amount. Stir occasionally until melted.